Check out the added information at the bottom. Google just announced new apps for Google Drive. Earlier this month, I wrote about how Google Drive is one of the Two Free Google Apps that Bring Out the Best In an iPad. As much as I like the Drive app, I have been hoping for some more features when working in Docs and sheets – like the Research tool. When I heard that Google had created some new apps, I just had to check them out. 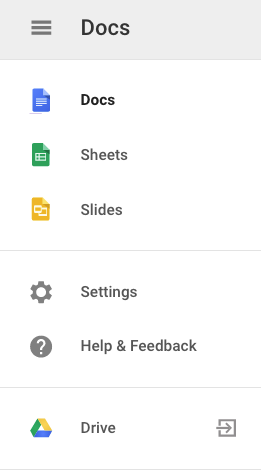 With these new apps, Google split parts of Google Drive into individual apps: Docs, Sheets, and Slides. Docs and Sheets are out now for both iPad and Android. Slides will be coming soon. All of the apps are free and Google Drive is still available. Right now there are really only three ways in which the apps differ from the Drive app. 1. Each app is dedicated to just one individual tool in Google Drive. 2. When you open the app, you see your most recently edited files of that type only, which does mean less time searching and scrolling. 3. The apps have better built-in offline support, so you can easily view, edit and create files without being online. When the new Slides app comes out, you will be able to create and edit presentations, so that will be a great new feature. Like I said above, I was hoping for more features, but these apps seem like a step in the right direction. Google Slides – Coming Soon! 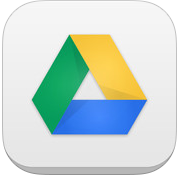 The Google Drive app is still an important tool on iPads, Android devices and computers. It is the bridge that connects all of the work you create in Docs, Drive, Slides and other apps. For workflow with other apps on your mobile devices, Google Drive is a powerful app to store, transfer and coordinate with other apps. These new apps, are also great because you will now have easy access to the specific Google tools you need. So, I explored the apps even more and just a few days after I wrote the article above, there were some more changes. Google Drive on the iPad no longer opens up Docs or Sheet in the app. If you tap on a doc in Drive it will open up Drive. It will do the same for spreadsheets. I can not wait until they come out with Slides so we can finally add and edit presentations on the ipad. There are other features I had hoped to see, and I am hoping that separating the parts of drive into different apps is just the first step in that direction. I am really hoping for the research tool and the ability to add and edit images. Jeanne Reed, @jeannereed1 , started a quick conversation on Twitter about other features that would be great to have on the iPad.Miguel Guhlin, @mguhlin , mentioned adding tables to Docs. Tim, @biology , mentioned adding charts to Sheets. I agree with both of them. We were all lamenting the loss of access in Drive, but I am sure we will get used to it. Many of us using technology in the classroom find ourselves caught between two worlds: Apple and Google. Apple’s iPad is a fantastic tool in the classroom which provides students with various opportunities to consume, create, and communicate. Similar to a swiss-army knife, it is only limited by how we choose to use it. At the same time, Google apps provide students with cloud-based services, from search to document creation and sharing, that work seamlessly on iPad. So, what are some of the best ways to experience Google on the iPad? 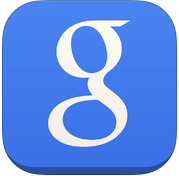 Let’s take a look at two apps from Google: Google Search and Drive. Usually when you think of Google you think of searching first. The Google Search app has a nice clean interface: a search bar, a history button, a voice search button, an apps button, and Google Now cards. Most of the features are pretty intuitive. While, I like the apps button because it provides access to many Google apps and sites from one place, my favorite part about this app is Google Goggles. With Google Goggles, you can take a picture with the iPad camera, and Google Search will scour the internet for that picture. This is a great feature that taps into two of iPad’s strengths: mobility and image capture. The Google Drive app offers some great features on iPad. You can create docs, sheets and folders, as well as open, edit and collaborate on any doc or sheet that you started from another device. There are also two great features that bring out the best in your iPad: speech-to-text and supporting workflow. I have tried speech-to-text on other apps and sites with minor success; however, it works really well when creating documents in Drive. The best part is that because it syncs with the cloud! This means that you could be on the same document from a computer as well as iPad, talk into iPad, and the text will also appear instantly on the computer. 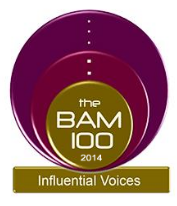 This is an amazing feature – especially for students who struggle with writing. Another powerful feature of Google Drive is how it supports workflow on iPad. You can upload video and images from the camera roll right into your Google Drive. This is a great way to get an important video or image off of iPad and onto your computer or another device. It is also a great way to collaborate. You can gather class images and video in Drive and then share or merge them together on a single device. Google Drive liberates your creative masterpieces from a single iPad. A final great workflow feature in Drive is “Open In…” Any file, in any format, can be stored in Google Drive. This feature gives you a variety of options for how you want to open that file and use it on iPad. For example, you could open a PDF from Google Drive in iBooks, Evernote, Subtext, or any other app that might allow for PDF Annotation. Google and iPad compliment each other beautifully, and together can make a great tool for learning and teaching.